How to operate and market a successful legitimate massage parlour in Pattaya. 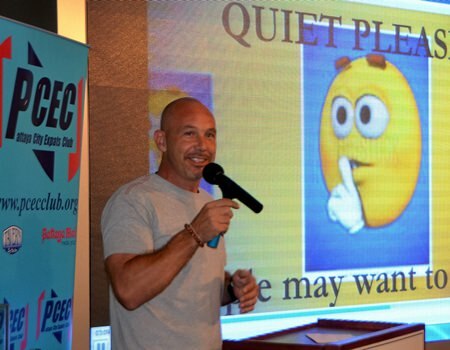 This was the subject of John Walsh’s presentation to the Pattaya City Expats Club at their meeting on Sunday, March 27. John described his background before coming to Thailand. He was born and spent the majority of his life in Boston, Massachusetts, USA. He worked in the automotive manufacturing industry running a department and teaching lean systems to the division. When the industry had a downturn, he along with many others in middle management were laid off. At that time, he would never have predicted he would end up owning and managing Nemo’s massage Parlour in Pattaya. But that is exactly what happened. After spending a year unsuccessfully looking for a job in the U.S., John took a three-week vacation in Thailand. He met an Englishman who talked about his plans to open a business. 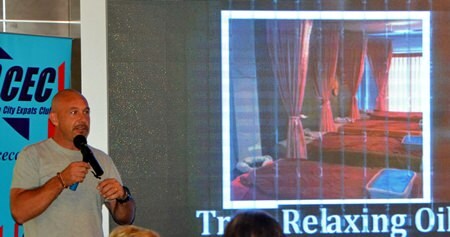 John said after some thought he felt it might be possible that he too could open a business in Pattaya. It had to be a legitimate business. At first, he thought about opening a restaurant. But where? John stated that the most important factor in the success of any business that serves customers is location, location, location. 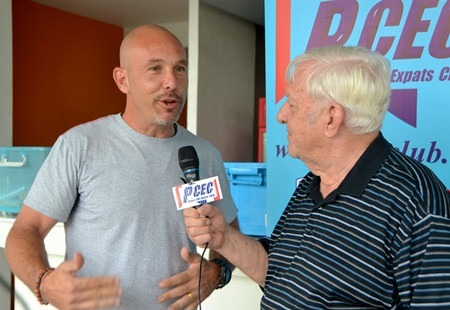 John Walsh talks about the challenges he faced when he bought out Nemo’s Massage Parlor here in Pattaya having no experience in conducting a business in Thailand. These included how to form and promote the business along with recognizing the cultural differences working with Thai staff. John saw that Soi Diana was one of the busiest spots in Pattaya, 24 hours a day. But there was nothing available for him to consider a restaurant or other business; then he got a lucky break. A massage parlour called Nemo’s Lounge was for sale, and it even had guest rooms on the second floor. Although not knowing anything about running a massage business, he decided to give it a try; buying out the business and entering into a 15-year lease for the premises with the building landlord. John described his approach and how he did everything by the book. He hired a law firm (“best decision I made”) to take him through the process of forming a legitimate corporation, obtain a work permit, obtaining a Non-Immigrant Visa, and, in his case, employing more than the minimum number of Thais required for receiving a one-year extension of stay. John said that one of the key reasons his business has been successful is that he involves his workers in his business decisions. John inherited a core group of girls from the previous owner. He told them that he wanted to operate a legitimate massage business –no extras (or “specials” as they are known) – and they agreed. The staff even sign a legal form that they will not do specials, and they have to pay a “fine” if they violate this rule. There were challenges. One of them was the cultural differences between John (U.S.) and the girls (Thai). For example, John said, the girls had a habit of wandering in late for their shift. John said he spoke to the girls about it but that he also came to understand that there has to be some give and take. It is a case of managing expectations, John said, but also setting some limits. 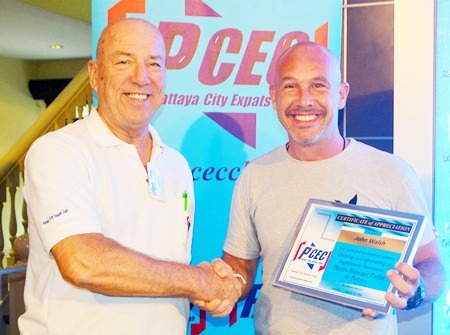 MC Roy Albiston presents the PCEC’s Certificate of Appreciation to John Walsh for his enlightening talk on how he went about operating a successful legitimate massage parlor in Pattaya. John wanted the girls in his parlour to maintain a certain standard when they did massages so that customers would know what to expect. So he held monthly meetings with his staff and created a standard. The existing staff trained new staff to ensure the standard was maintained. Also, girls looking for a job at Nemo’s Massage have to pass three tests using three different types of massage. In addition, John said, he follows the practice of many massage parlours, which is to guarantee a minimum daily salary. John said that he has to find ways to promote the business given that there are numerous massage parlours in Pattaya (there are 6-7 on Soi Diana alone). Nemo’s Massage gives volume discounts and does other promotions. It also uses Facebook and other social media to promote the business. One challenge John mentioned was managing turnover; thus he requires new staff provide a guarantee deposit of 1,000 baht which they will lose if they don’t stay a certain length of time. Another challenge is that there are times when some of the staff are going to want to go to their home villages – particularly at Songkran, but also at other times, such as during the rice harvest. You have to work around that, John said. If he did not allow the staff to go home from time to time, they would just quit. To cope with this, John said, he overstaffs the business. Another thing John had to accept was that for Thais social and work time is combined. It is part of the culture. John mentioned that his business has been flourishing. Nemo’s Massage gets 60-80 customers a day in high season, and 40-60 a day in low season which has allowed him to recoup his investment within six months of starting up and even better, after one year, sales had tripled. John said that he currently has 15 staff. In high season, he will have more. They work 12-hour shifts, six days a week. Judith Edmonds conducts the Open Forum which follows the speaker presentation at the PCEC’s Sunday meetings. This is the time where members of the audience can ask questions, offer comments, or offer answers about Expat living in Pattaya. 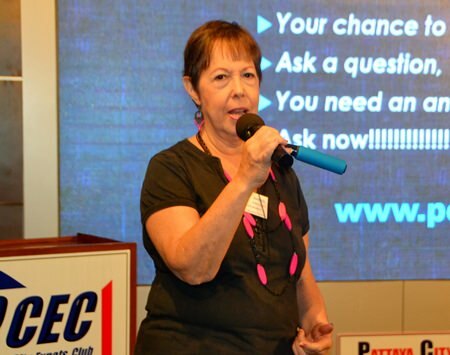 After John concluded his presentation, MC Roy Albiston brought everyone up to date on club activities and happenings around Pattaya before calling on Judith Edmonds conducted the Open Forum, where questions are asked and answered about Expat living in Thailand, especially Pattaya.